Marieke Gouda and Penterman Farm take pride in modern family farming and handcrafting award-winning cheese. Enter to win this basket showcasing the wide variety of products Marieke Gouda carries! 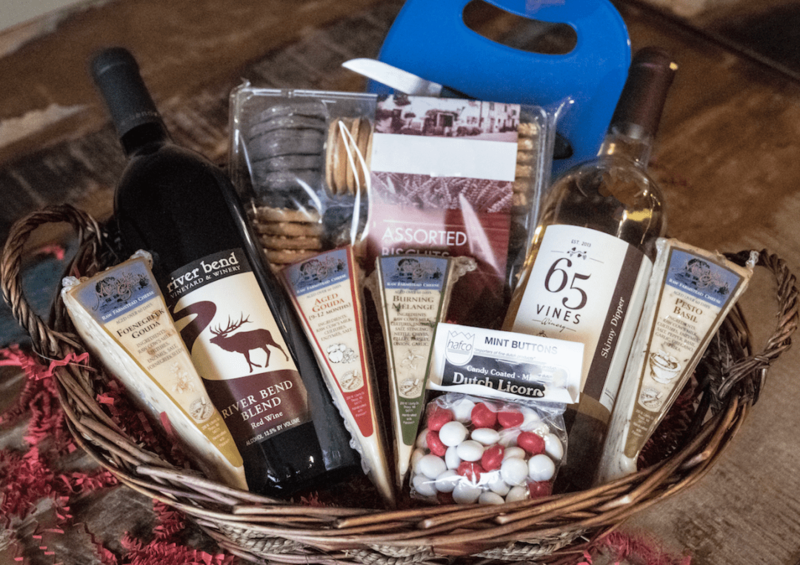 It contains four types of their famous Marieke® Gouda, Dutch licorice, a cutting board set, two bottles of local wine brands, and assorted biscuits! Find more information about Marieke Gouda/Holland's Family Farm on their website.